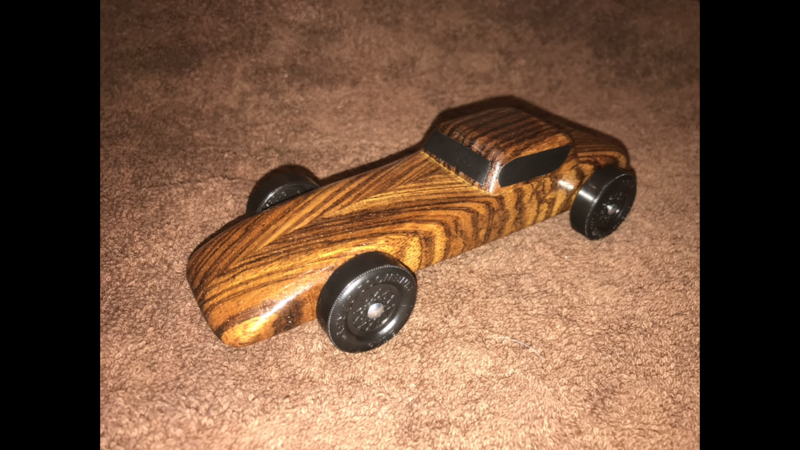 This was my first attempt at an outlaw derby car. It didn't have any weight, therefore it did not race well. But she sure was a beauty. 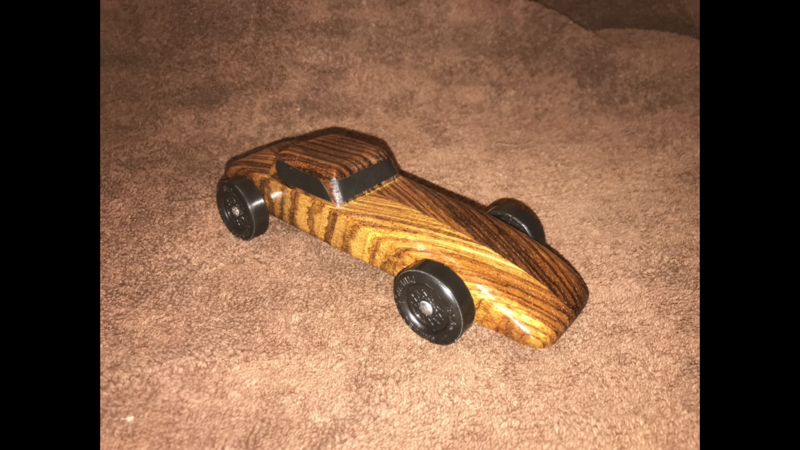 It's made from African zebra wood, hence the name...zebracar. Wow! That is indeed a work of art. Thanks. It was my first build. I thought I'd try and wow the boys with my finish. I used some African zebra wood on a project years ago, so I picked up a bird foot from a cabinet shop near my house. I ripped the board at a 45 degree angle to the grain, and biscuit joined two boards together for the pointy wood grain look. Then I glued a block on top for a cab. Then sanded it all down. It was a pretty car, but it was by no means a fast one. I raced it last year at 4 ounces. This year i added weight bringing it up to 5 ounces and tried my hand at polishing the axels. It still wasn't a fast car.